Economic policies have always been mysteries to laymen. They have become mysteries because top economists often present them in a language not comprehendible by ordinary people. Policy makers design policies after much labour and thought. Yet, they fail to explain their rationale to people, leaving them in a state of confusion. This leads to the creation of a trust deficit between the policy makers, on one side, and those who are to benefit from policies in the long run, on the other. It also gives opportunities for those who feel being threatened by new policies to put pressure on governments not to go for them by mobilising people and other forces to serve their cause. As a result, even the policies which are essential and carry high economic costs if they are not implemented are abandoned in mid course due to prolonged public protests. Sri Lanka’s past is full of such instances. It also explains why Sri Lanka’s economic growth had been low – about 4.4% on average annually in the whole post independence period – and why it had been a laggard compared to its peers. The present government which has experienced a declining economic growth rate – 4.8% in 2015 and 4.4% in 2016 – has particularly been vulnerable to this ominous development. As the latest economic data suggest, the performance of the economy in 2017 would be most disappointing for the government with the growth rate estimated to be slipping even below 4%. This makes the realisation of the ambitious targets pronounced in Vision 2025 of the government – an increase in the average income of a Sri Lankan, known as the per capita income, from US $ 4000 in 2017 to US $ 5000 by 2020 – extremely challenging. In this background, the Sri Lanka Economic Association or SLEA, the topmost body of economists in the country, had ventured into the task of generating an open and free discussion of the policy package being proposed by the present government. This it did by hosting a public forum on the direction of future economic policies in Colombo last week. In fact, such a discussion would have been generated by the government itself before SLEA ventured into it. Yet, as the government had done on previous occasions, it appeared to have thought that its job was over after the documents containing the policy had been released either in Parliament or in a gala event thrown luxuriously at a public place. This writer in a number of articles published in this series attempted to analyse those policies for the benefit of the public and government policy makers (available here, here, here and here). However, the response received from the government was a stark silence, probably because an open discussion or a critical evaluation of its policies by the public would have been considered not to its liking. In the SLEA forum under reference, from the government side, Dr Harsha de Silva, commonly referred to as Harsha, Deputy Minister of National Policies and Economic Affairs, took the podium. Harsha had come to prominence by being the firebrand critic of the economic management of the previous administration and, therefore, was the best-qualified to represent the government in the forum arranged by SLEA. The private sector had been represented by the Chairman of the Sri Lankan brand, Nature’s Secrets, Mr Samantha Kumarasinghe, equally known for being critical of the present government’s policies, especially its trade policies. In between Harsha and Samantha was the Central Bank Governor, Dr Indrajit Coomaraswamy, with the difficult task of presenting a balanced view, compared to the pro-view by Harsha and the counter-view by Samantha. The audience had been treated to a tension filled evening with the exchange of arguments followed by counter-arguments. It is a healthy sign since economic policies should be debated freely before a final agreement is reached. It should always be remembered that dialogue, though it may be fiery, is always better than enforced consensus from the nation’s point of view. A detailed report of the tension mounted discussion has been presented by Daily FT. Governor Coomaraswamy’s presentation at the forum on economic policy (available at: https://www.youtube.com/watch?v=tmbD_82XReY ) deserves further elaboration. That is because what Coomaraswamy had presented in high-flown technical terms was totally appropriate for the audience at hand consisting of the country’s top economists. However, if it is to be conveyed to public at large, it need be converted to ordinary man’s language to facilitate understanding by them. Such an exercise is necessary since, as this writer had encountered during the weekend, even the final year undergraduates or the MBA students of a well known state university could not properly explain the rationale of the policy package described by Coomaraswamy. Hence, this article aims at taking the ordinary folk through the policy package, as pronounced by Coomaraswamy, to be implemented by the government in the next few years. At the outset, Coomaraswamy brought to the notice of his audience some small gains made by the country with respect to improving the overall outcome of the budget. Accordingly, the overall budget deficit, that is, the excess of the total expenditure over the total revenue of the government, which had been stubbornly as high as about 6% of the country’s total output, known as the Gross Domestic Product or GDP, had shown signs of coming down. This has been made possible by an increase in the total revenue of the government, from around 12% of GDP a few years back to around 14% of GDP in the most recent year. At the same time, Sri Lanka is to record a surplus in the primary account of the budget after many years of having a deficit in that account. The Primary account is simply one component of the budget generally used by economists to assess its health. In that account, the total consumption expenditure of the government, also known as the current expenditure or recurrent expenditure, without interest payments is compared with the total revenue of the government. If revenue is higher than the current expenditure without interest payments, the primary account generates a surplus. If revenue is less than such expenditure, then, the primary account records a deficit. A deficit is a situation where the government has failed to control even its day to day normal expenditure programmes. It is like a person who spends more than he earns on day to day living. The result of such lavishness in spending is that a person or a government will have to live continuously on borrowed money. But, sooner or later, it would reach the stage where it would not be able to borrow any further. At that stage, it will have to abandon all its plans for the future for lack of resources. Thus, a surplus in the primary account is considered a desirable achievement. It is not only a sign of self-discipline but also a mechanism to at least part finance the interest payments out of taxpayers’ money. If the surplus in the primary account is more than the interest payments, then, the budget is considered to have generated a surplus in its current account. It will not only help the government to part finance its capital expenditure programmes but also to keep the overall budget deficit in check. A sound fiscal policy seeks to achieve this status and according to Coomaraswamy, Sri Lanka is now moving along on this path. Its success has even been vouched by IMF, he noted, when it decided to release the fourth instalment of the Extended Fund Facility Programme which Sri Lanka entered with the Fund in 2016. These are of course small gains about which the country could be happy. Yet, Coomaraswamy opined that it is not a reason to be complacent. In fact, complacence is the worst enemy of any government since it elevates the government to a false sense of success. What has already been achieved on the fiscal front has to be continued with consistency, dedication and commitment. By announcing that the country should not be complacent about its past achievements, he has indirectly warned the government that it should not even for a moment relax its grip on reforming the budget. This warning should be seriously taken by the government in general and the Minister of Finance, Mangala Samaraweera, in particular. Any laxity in these endeavours will amount to sacrificing the hard-earned gains by the country in the recent past. It is not a risk which Sri Lanka should take at the moment. Coomaraswamy drew the attention of the audience to the specific problem faced by the country with respect to repayment of debt and payment of interest, known as debt servicing, in the next few years. In fact, the total debt servicing during 2018 through 2020 will be much more than the estimated revenue of the government due to an undesirable bunching of these debt payments. A solution available to the government is to elongate the debt service payments by going for specific borrowings that are not used for financing the budget but for reissuing the debt repayable in lax years in the future. This is known as liability management since it amounts to changing the structure and the time schedule of debt liabilities of the government. However, at present, there is no possibility for the government to do so since the entirety of the borrowings to be made under the Appropriation Act has to be used for financing the approved expenditure programmes. Hence, to give this additional supporting power, Coomaraswamy announced that the government will introduce a special Liability Management Act. This Act will permit the Central Bank to raise funds on behalf of the government and outside the borrowing limits prescribed in the Appropriation Act to even out the debt repayment liabilities by shredding the high spikes in debt repayment due to bunching. It will, therefore, improve the cash flow of the government but it will not be a mechanism to reduce the overall public debt over the long run. This latter is a must for the government to enforce discipline on its revenue as well as expenditure programmes. Coomaraswamy also outlined the special procedure being adopted to handle the extraordinary windfall the government would get from leasing the Hambantota Harbour to China’s Merchant Ports Holding Company. The lease money amounting to about US $ 1 billion will be some extraordinary revenue being earned by the government by selling an asset, known as asset management. The normal procedure for handling such foreign exchange receipts is that the Central Bank would buy the dollars by providing the rupee equivalent to the Treasury, a process commonly known as printing of money. The Treasury will in turn record it as an income in the budget and spend the rupee proceeds in its normal expenditure programmes. It will not only boost the government expenditure but also increase the total expenditure in the economy, known as the aggregate demand or AD directly. If the supply does not increase, this will overheat the economy causing the inflation to raise its ugly head. Since Sri Lanka has a free import policy, the new money will move out of the country to meet the import demand. There is another side effect of this operation. That is, when the Central Bank buys dollars and issues rupees, it increases its net foreign exchange holdings leading to an increase in the monetary base – the seed money created by the Central Bank and made available to commercial banks to create further money – by an equal amount. Given the large size of the transaction in question, the total monetary base will increase by a huge amount, estimated to be at around Rs 155 billion. Each rupee issued by way of the monetary base will help commercial banks to create additional money in the region of about Rs 6.50 over a period of about 18 to 24 months. Thus, the foreign exchange receipt on account of the leasing of the Hambantota Harbour will create extraordinary inflation pressures in the economy in the next 2 year period. To counter this, the Central Bank will have to increase interest rates and cut credit levels. Such a policy measure, known as a contractionary monetary policy measure, will tame inflation but at the same time cut down economic growth. This latter outcome is not something which Sri Lanka could afford at the moment since it has already begun to experience a declining trend in its growth rates. To mitigate these adverse effects, Coomaraswamy revealed that the funds to be received by the government on account of this transaction will be neutralised in the Central Bank by adopting a special procedure. Accordingly, two special accounts will be created in the Central Bank, with government’s approval, to make the entire transaction just a book entry. The dollar component which is in foreign exchange will be debited to one account; the rupee component will be credited to the other account. This would prevent the government from using the proceeds for local expenses directly. At the same time, it will be neutral on the monetary base since no money would be released by the Central Bank to the public or the commercial banks. Thus, there will be no additional creation of new money by commercial banks. Coomaraswamy said that when the debt servicing on account of the loan raised to construct the Hambantota Harbour becomes due, the moneys in both the dollar account and the rupee account will be used for that purpose. Accordingly, it will guarantee the debt repayment by the government without affecting its annual revenue flows. This is similar to creating a sinking fund to facilitate specific foreign debt repayments. It is indeed a victory for the Central Bank to get the government’s consent to forego the right to use the leasing proceeds for its ordinary expenditure programmes, specifically at a time when the government is faced with the problem of raising sufficient revenue to meet its expanding expenditure programmes. These are sound policies which the Central Bank is planning to adopt. They will deliver good results to the public in the long run. Hence, the public support should be extended to the Central Bank to implement these policies successfully. Are the people in Central Bank trust worthy. How about, they all have to obey the minister responsible. An outstanding man , who all Sri Lankans should be proud of . He is fighting an uphill battle in the midst of inept , corrupt , self serving politicians. The CB governor and MOF both of them are in vicious circular of printing of Rupees currency by the short cut CB bank to recovers economy earliest possible date. It is not that easy path and means by used policies of Federal Reserves Bank of USA did after that Wall Street stock market collapse in year 2008! In coming 15 years time that Global Economy will expanded into by US $ 15.7 Trillion Dollars to World GDP. There will be decisive factor is new technological innovation played driving force of Economic development and growth by doubling each nation -national Economy. So we have to have Sustsnsbility of Market Economy and combines with Planning set of policies to be revitalization Ours tiny GDP that currently in US $ 85 Billion dollars. I am an understanding of Capitalism having system of strategies of planning are ahead of developing Economy of their nations as well as suited to us. Why is not that we are having similar policies are not that conflicts interest of sustsnsbility of growth of Capitalism? 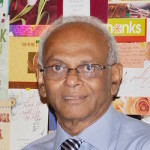 By and larger political-economic school of thought has no such ideas and ideologies approaches by two guys of that CB Governor Commarsamy and Mangla Samaraweera of MOF,; by holding currently policy makers in an Island mismanagement of Economics governances has not move forward past 36 months. The failure of revitalization tiny Economic of Island is nothing else it is policy failure of line of thinking. They are lack of knowledge vast issues of complexes that Local and New global normal economy . The UNP Ranil W…is out dated policy makers and MS has no know knowledge of ABCD of Economic and CBK cannot reached lessons of Economy in the century of 21st ? The failure of reading new shifting Global Economic that we want address an urgent priorities by policies makers, while that political classes in ruling circular of think -tank. Coomaraswamy (and CBSL) must think and act independently. How the hell will he take corruption into account? ”Top Economists present data not understood by by the people.” This is true. A man lost in the air in a hot air balloon lowered the craft and inquired from a man on a foot ball ground about the location. The man on the ground said ‘ Sir you are 50 meters above a foot ball field. The man on the balloon said you must be an economist as the information given is correct it is useless as far as his predicament is concerned. We are indeed fortunate to have Economists of the caliber of Dr Wijewardene who could explain in basic terms how our economy is doing.His approach is a radical departure from that of other so called economists who adopt the sadistic approach of explaining by using convoluted terms.These fellows think that by resorting to such complicated methods the people will be impressed by their ” brilliance “. Congratulations Dr Wijewardene.You are so down to earth whether on TV or in your writings and indeed in appearance too.. Your high brow economist colleagues need to take some basic lessons from you on simplicity before waxing on the subject .Congragulation to Governor Coomaraswamy for slowly turning things round.A round of applause to the government for appointing him as well.Uncle Nivard Cabral ,the Accountant,must be having some sleepless days and nights on account of these developments !! Is not that good an insulted to Keynes by misused his name by commenter. Read carefully what that Keynes theory of Economics. I advice you to read “A Tract on Monetary Reform” by John Maynard Keynes. collected writing vol. IV (Cambridge 1971) page 3,to 36. By of the Peace London 1919 said by Keynes.”…Those to whom the system bring windfalls… become profiteers who are objects of the hatred of the bourgeoisie ,whom the inflationism has impoverished not less than of the proletariat. As the inflation proceeds …all permanent relation between debtor and creditors, which form the ultimate foundation of capitalism, become so utterly disordered as to be almost meaningless….” page 220-33. He brings in a lot of class that most in that position lacked in recent times. Enough said …………. that’s all the economics I want to know.